What Socket Retainer Kit or Retainer Ring do I need for my pneumatic or cordless Impact Wrench? 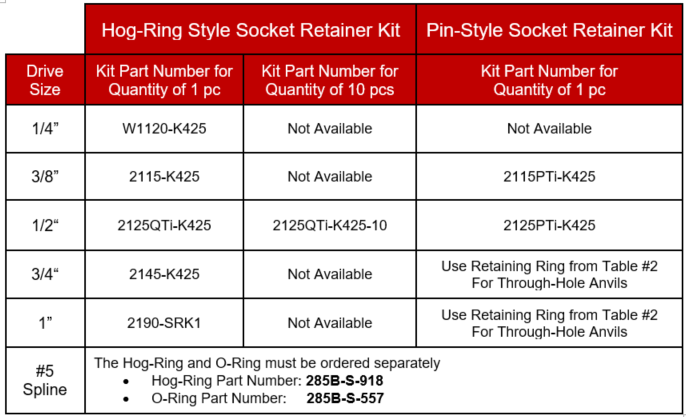 Service Centers and End-Users who are replacing the socket retainer for an Impact Wrench based on the tool's drive size and retainer style (Pin vs Hog-Ring). 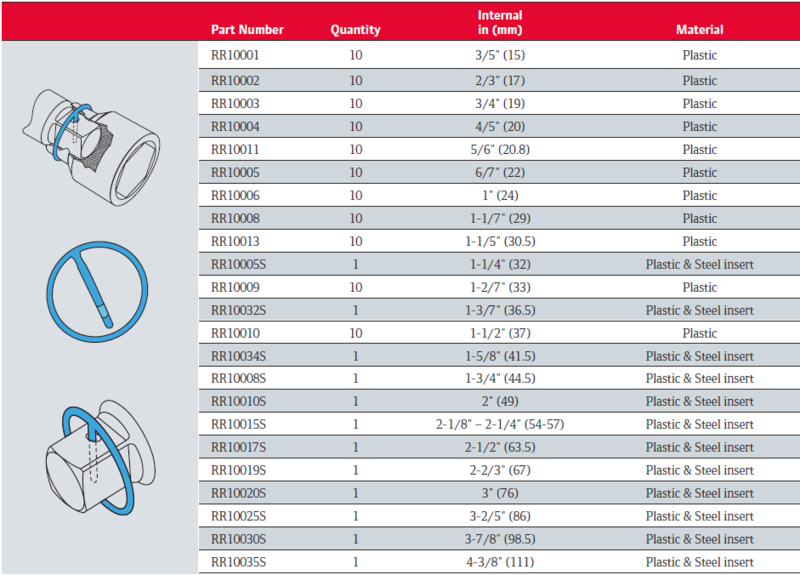 Use the two following tables to identify the appropriate Socket Retainer Kit or Retaining Ring for your Impact. The listed kits/rings can be used for either pneumatic or cordless tools for the stated drive size. If you require additional assistance, please contact our Technical Support Team at IRTechSupport@irco.com.